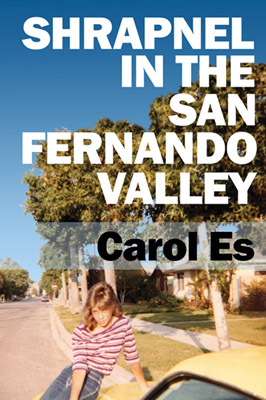 LOS ANGELES, CALIFORNIA--April 6, 2019--Artist, musician, and writer Carol Es grew up believing that she was inherently bad. Not surprising when you learn that her mother was mentally abusive, her family life was incredibly unstable, and she lived through perhaps the most destructive, undermining betrayal that many kids sadly endure: sexual abuse. And that was just the first 14 years. Just a teen, she fled from her chaotic family life only to find herself trapped in the Church of Scientology for two decades, where she would deny and neglect her mental illness in order to stay true to the doctrine of L. Ron Hubbard and his belief that the psychiatric field, and even therapy, was an evil hoax. Despite her circumstances, Carol stayed committed to her artistic endeavors. One of the first female drummers to attend the Musicians Institute in Hollywood, California, she went on to work with noted producers, recorded with Rickie Lee Jones, and toured North America in a rock band made up of (mostly) Scientologists. Carol says, "Sometimes I wonder if I made a life-long series of stupid mistakes or had an extraordinary long stint of bad luck. Or both. Either way, I can still hear my dad's voice in my head telling me to learn from my mistakes--the one good piece of advice that came out of his mouth and I wasn't listening." Carol Es has earned many honors during her career in the arts, including the Pollock-Krasner and Wynn Newhouse awards. Her work can be found in MOMA, the Getty Museum, and the National Museum of Women in the Arts. She lives in Los Angeles, where she enjoys studying cultural anthropology, writing in her blog (Carol's bloggie), and spending time with her partner and their dog. Illustrated with original sketches throughout, Shrapnel in the San Fernando Valley is not just another survivor's tale about overcoming life's horrors and coming out victorious. It's a courageous, relatable story about doing what you can with what you've got, no matter how broken your tools might have been in the first place. Gaining the ability to identify growth from experience is the true victory. Because sometimes learning, relearning, and coming out okay is triumph enough. ©2019 Desert Dog Books, LLC. All rights reserved.